Since it was established in 1988, The Book People’s business has always involved getting books into the hands of people who don’t have time to go to the high street. However, with an ever-expanding customer base and a growing inventory, the bookseller’s range of packaging materials seemed to be growing almost as fast as its business. So when Antalis Packaging proposed a solution that would simplify its packaging, speed up the time it takes to dispatch customers’ books and optimise space in the warehouse, the company immediately recognised the potential benefits. "We estimated that the savings the machine would deliver would enable it to pay for itself within 15 months. Most of that will come from savings on labour." 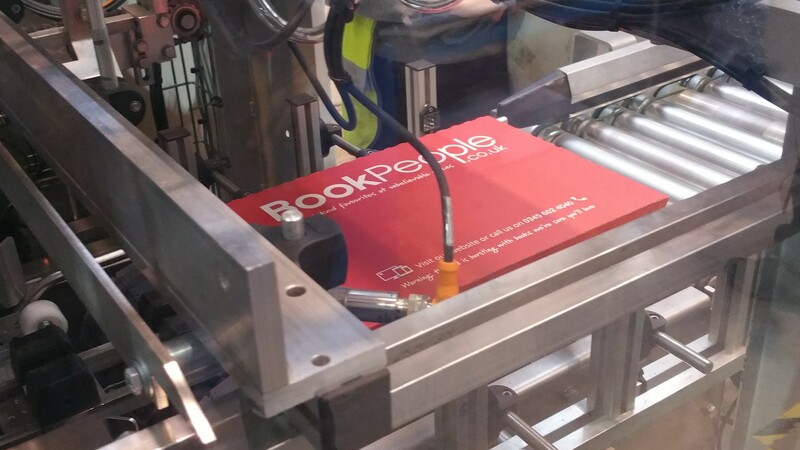 He explains that the machine can now handle as much as 70% of orders that were previously processed manually, which amounts to around 45% of all The Book People’s orders. In fact, the only manual intervention now needed for orders being processed through the machine is when operatives place items into the box. In addition, because the machine folds any void away, it has completely eliminated the need for void-fill in packages processed through the I-Pack. Aside from the material savings, this has also enabled considerable savings on transport. ”We’re not paying to transport fresh air anymore,” says Wayne. “We can now fit about 17% more packages in a container, which amounts to a saving of around one container every week." Wayne is very complimentary about the support The Book People received from Antalis Packaging, both in proactively recommending the solution and throughout its implementation. He says that help from Antalis Packaging was also instrumental in ironing out any operational ‘teething problems’ during installation and trials, illustrating this with the example of a challenge encountered with The Book People’s original boxes. This example perfectly sums up Antalis Packaging’s approach. By working in close partnership with its customers, the company is able to recognise opportunities to streamline their processes and identify solutions that will optimise efficiency and warehouse space, ultimately delivering savings and improving profitability.